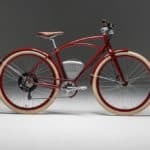 Vintage Electric has recently revealed the newest addition to the world of electric bikes – the wonderful Vintage Electric Cafe. 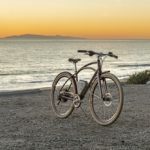 Combining old school design cues with high end electric drive trains, this new bike is one of the most powerful electric bicycles in the world today, and it’s available for purchase at just $3,995. 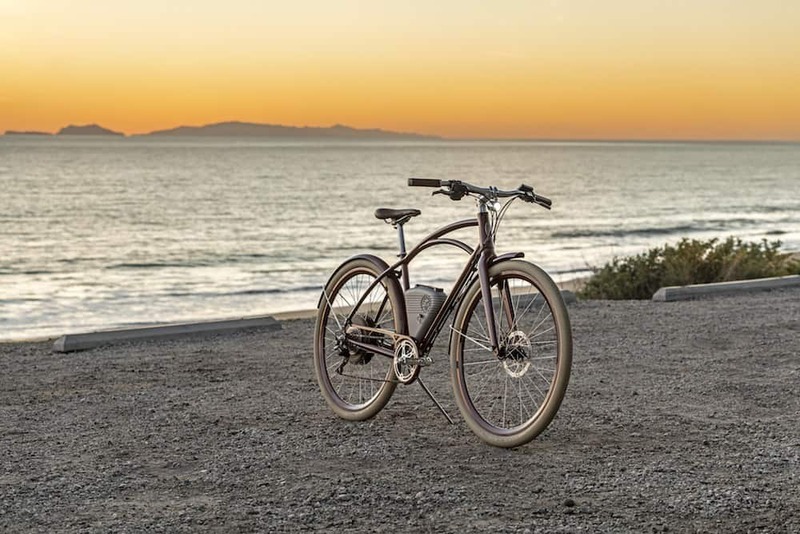 The superb model before you is mainly a commuter bike with lovely aesthetics, but it’s also packed with some of the most impressive technologies available today. 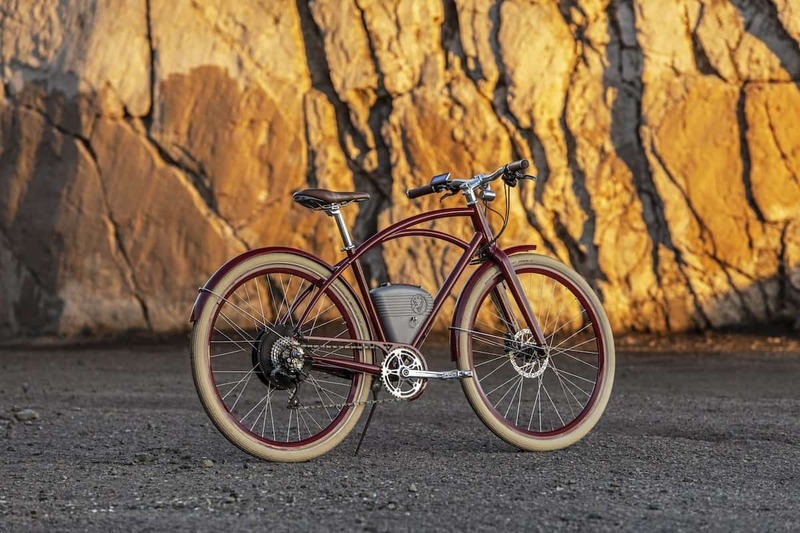 The Vintage Electric Cafe is powered by a hub-drive motor, which can push it to a max speed of 28 mph. 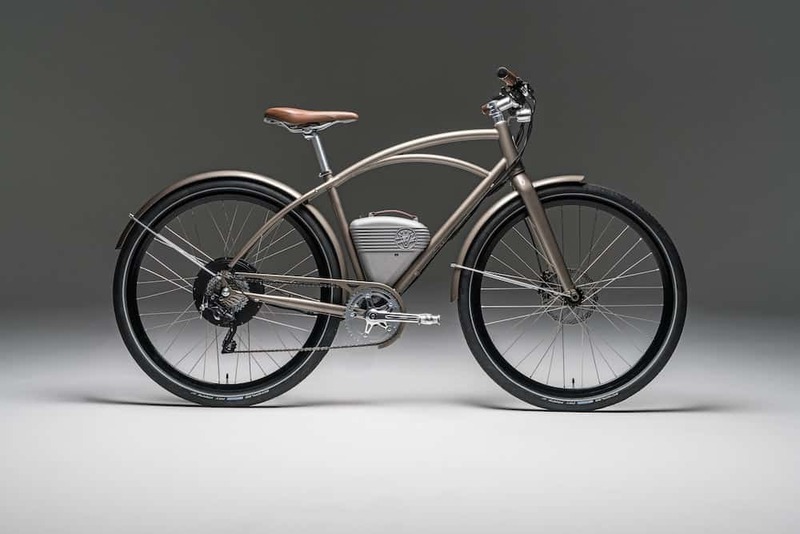 Well, that doesn’t sounds too fast in a world dominated by cars, but hey, it’s still a bicycle. 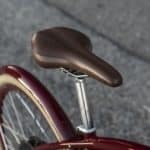 The bike has a frame made from Chromoly steel, and comes with a super comfortable and good looking perforated leather saddle, with an integrated LED taillight. 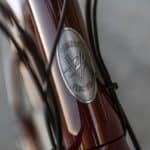 The handlebars are wrapped in exquisite leather as well. 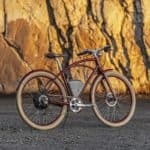 The bike comes in two color palettes, Golden Gate Red and Skyline Bronze, both highlighting the beauty of this electric two wheeler. 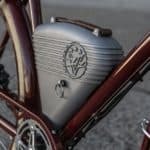 The Vintage Electric Cafe also features electronic cockpit controls for the electric motor, allowing adjusting to be made on the level of assistance. 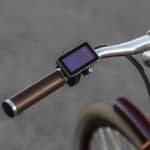 There’s even a nice little display on the handlebars which shows you the remaining battery level and the distance made. 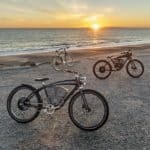 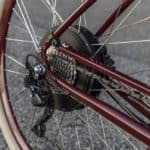 The motor is a powerful 750w torque sensing drivetrain with five levels of pedal assist, which is more than enough for daily commuting rides. 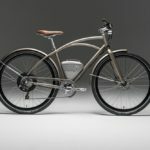 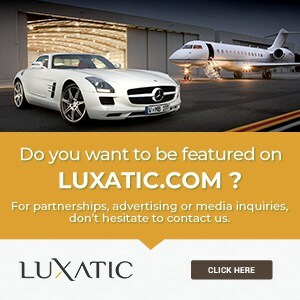 The bike comes with an aluminum battery that can be charged in two hours and can provide a range of up to 60 miles.